Sweden celebrates the sun. Why not? It’s cold and dark most of the year, so when summer finally arrives and the sun shines non stop, of course that’s reason to celebrate. The Midsummer celebration in Sweden is always on a Friday between June 19 and June 25. Akin to our 4th of July festivities, Swedes flee the cities and get together outside in the country, at the beach, at lakes or at summer houses to enjoy the high point of summer. 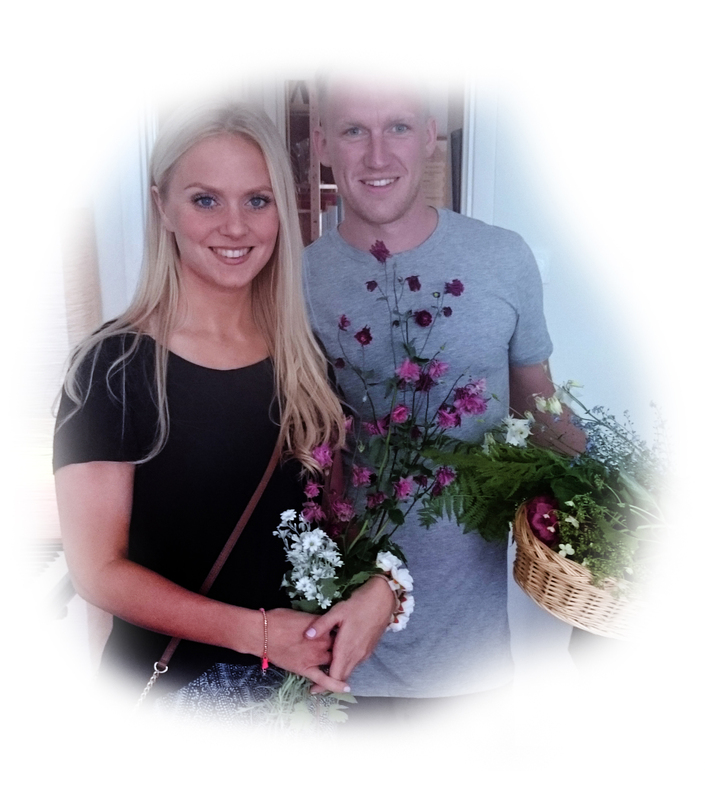 This Midsummer Eve was extra special for Oli because he got to celebrate with his son and daughter and their partners who were visiting him in Sweden. 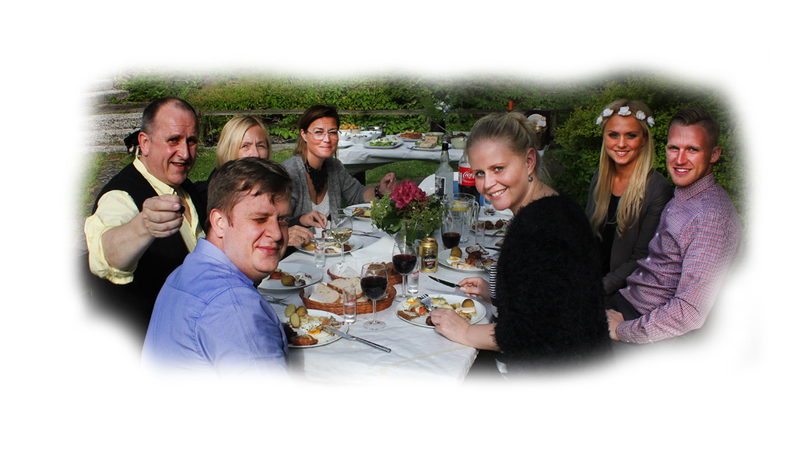 Add a few friends, gorgeous sunny, weather and you have the makings for a memorable party. There’s always fresh picked wild flowers on the table and groups of family and friends construct a midsommarstång (Midsummer pole) festooned with flowers and leaves. It’s not uncommon for people to dress in traditional costume an for girls to wear rings of flowers on their head. There’s music, dancing around the pole and singing. 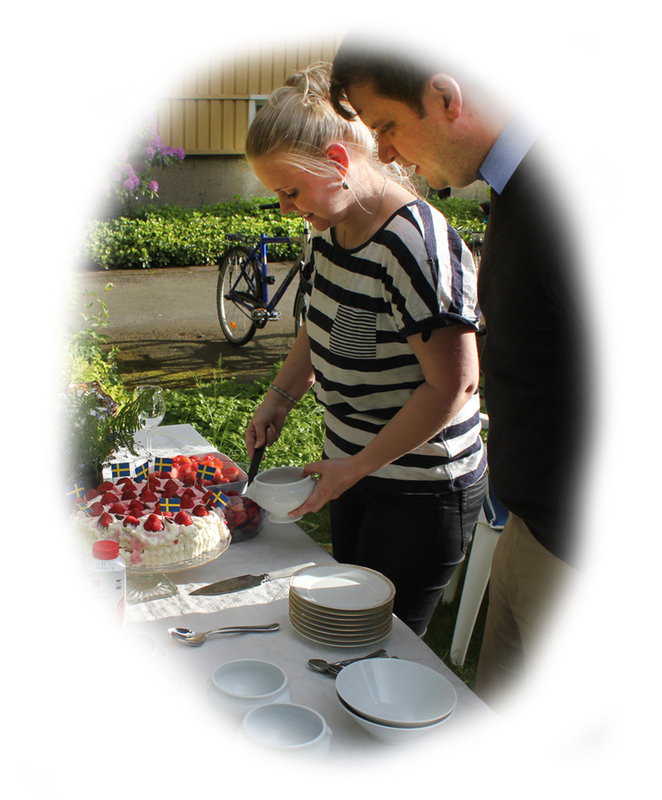 Oli’s party included all but the midsommarstång. Fresh picked wild flowers were compliments of his daughter. So, what’s on the menu? Throughout Sweden you’ll find herring and salmon and the absolute must have’s of new baby potatoes and desserts made from the first strawberries of the summer. Cold beer and schnapps round out typical Swedish menus. 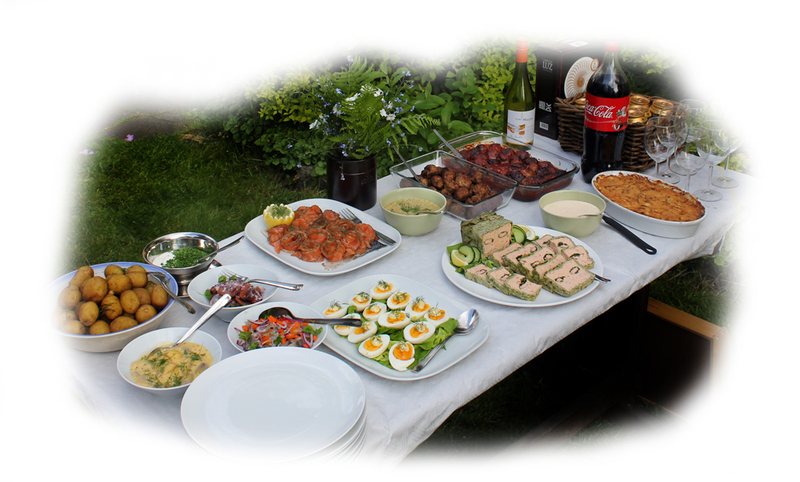 Oli’s menu celebrated the Swedish sunshine with three kinds of herring, gravlax, a salmon pâté and meatballs. Also gracing the table was the famous Swedish gratin called Jansson’s temptation, a rich dish of potatoes, onions, anchovies and cream. Baby potatoes and homemade rye bread completed the feast. Fresh strawberries and a strawberry tart were the sweet taste of summer sunshine for dessert. Ice cold beer and wine for the glasses. With a nod to Iceland, Oli served it’s signature schnapps, Brennivín. 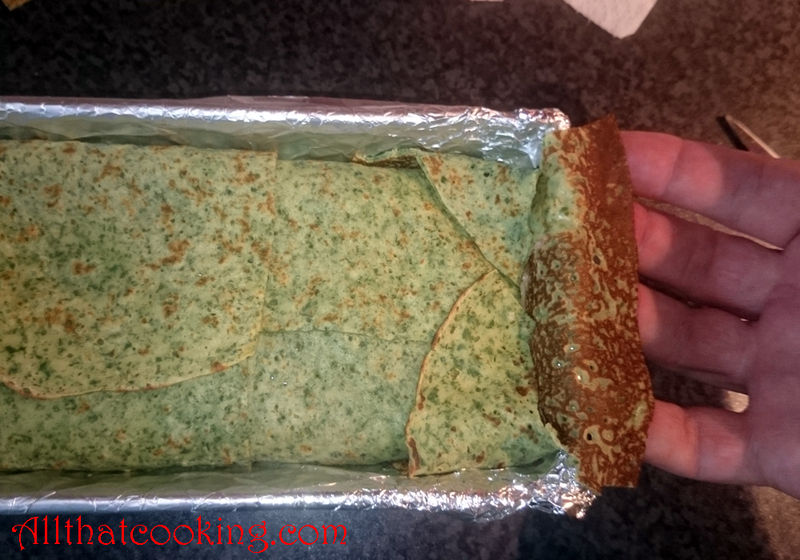 From that smörgåsbord, we are sharing Oli’s recipe for an elegant salmon pâté wrapped in delicate spinach crepe-like pancakes. This is not a difficult or complicated recipe, just one that has a few steps to follow. The result is a smooth textured salmon and whitefish pâté with a surprise bite of shrimp. 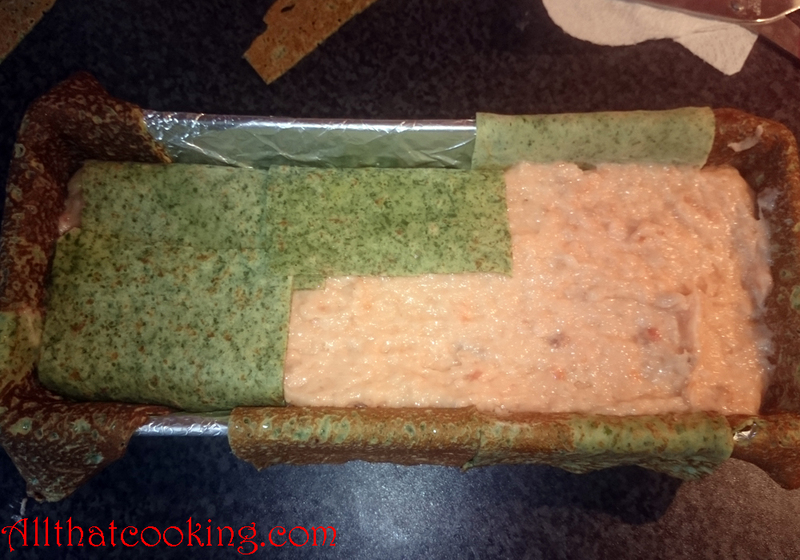 And oh, there are two rolls of spinach wrapped salmon tunneling through the middle. Served sliced with a simple cold roe sauce of sour cream, mayo and a splash of white wine on the side, you have a dish that is easily the star of any buffet any time of year. But right now we will wish you a glad midsommar! 1. Start by bringing a big pot of water to a boil. Also have a big bowl of ice water at the ready. 2. 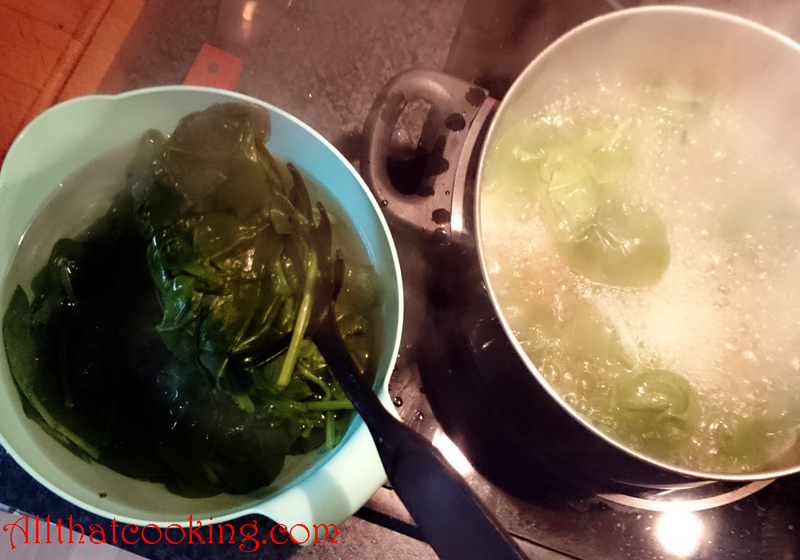 Toss spinach into the boiling water for about 30 seconds. Immediately move spinach into the ice water bath. 3. Remove all of the spinach from the ice water. Drain half on paper towels and reserve for the pâté . 4. Take the other half, squeeze out as much water as you can, then wiz it and 1/2 cup of the milk in a food processor until smooth. 5. Stir flour, sugar and salttogether in a large bowl. 6. 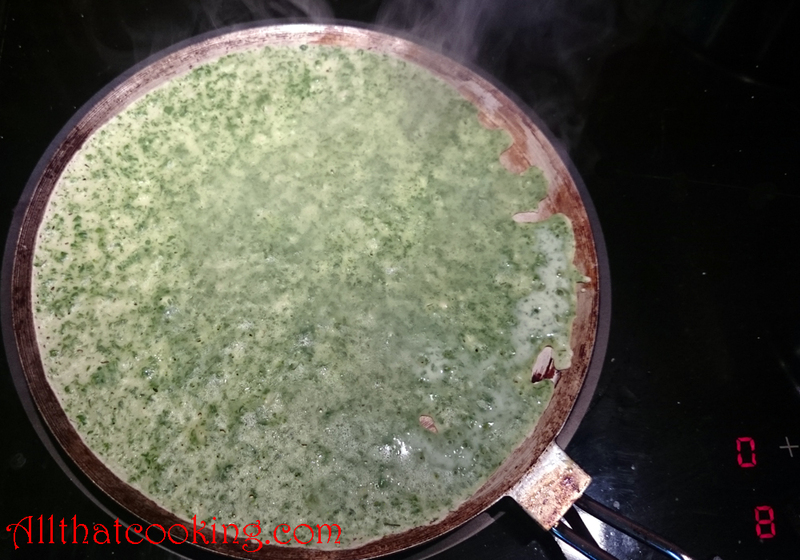 In a separate bowl stir remaining 1/2 cup milk, eggs, melted butter and spinach mixture until well combined. 7. Gradually whisk liquid mixture into flour mix until you have a lump free pancake batter. Batter will be medium thick. 8. Heat a pancake skillet or a 6-inch skillet over high heat and grease the surface with a buttered paper towel. 9. Remove skillet from heat and pour in 1/4 cup of the batter. Quickly tilt skillet in all directions so that the batter evenly covers the bottom. 10. Return skillet to heat and cook pancake until surface is dry, about 10-15 seconds. Flip pancake and cook until dry, not more than 10 seconds. The 1st side will be brownish and you want to keep the second side nice and green. That’s why you don’t cook it as long. 11. Continue cooking until all of the batter is used. Re-butter the pan if necessary. 12. Reserve cooked pancakes and cover with plastic wrap until ready to use. Melt butter in a small sauce pan over medium high heat. Drop in onion and cook until translucent. Pour in wine and cook until all liquid is gone. Cool to room temperature. 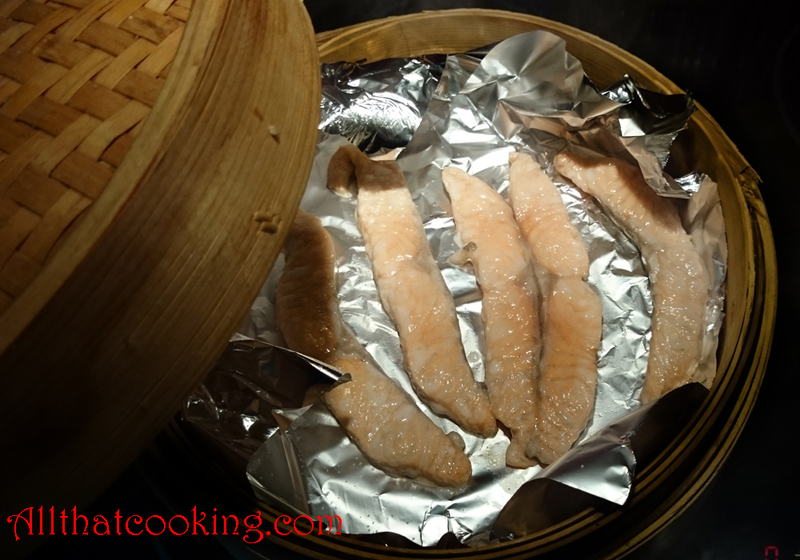 Steam sliced salmon over gently bubbling water in a steamer basket until cooked, 2-3 minutes. Remove salmon from steamer and drain well on paper towels and reserve. 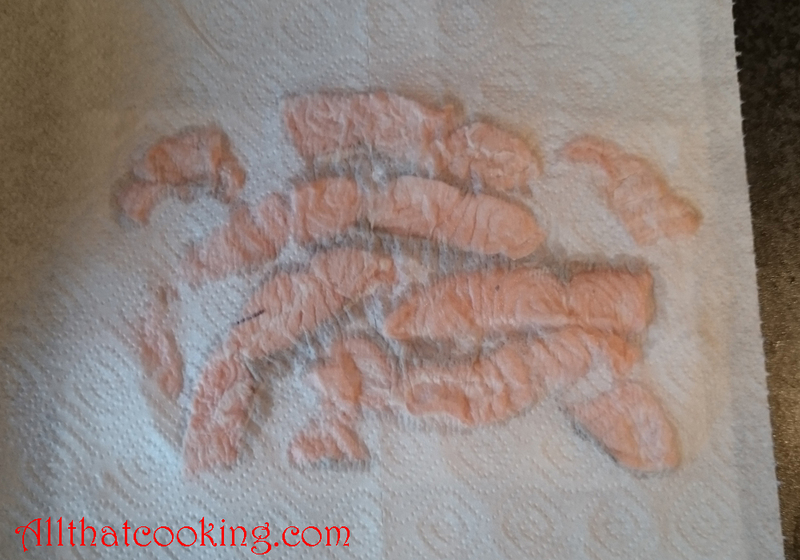 Drain and pat dry cooked shrimp on paper towels. Put the onion mixture, remaining salmon (one pound) and flounder into the bowl of a food processor and process with salt, pepper, cream and eggs until well blended. 7. 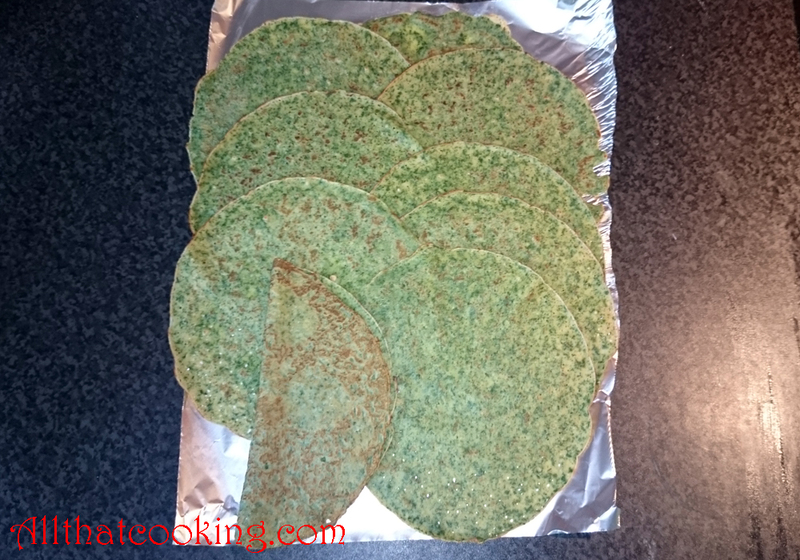 Take the reserved spinach leaves and blot dry with paper towels if necessary. 8. 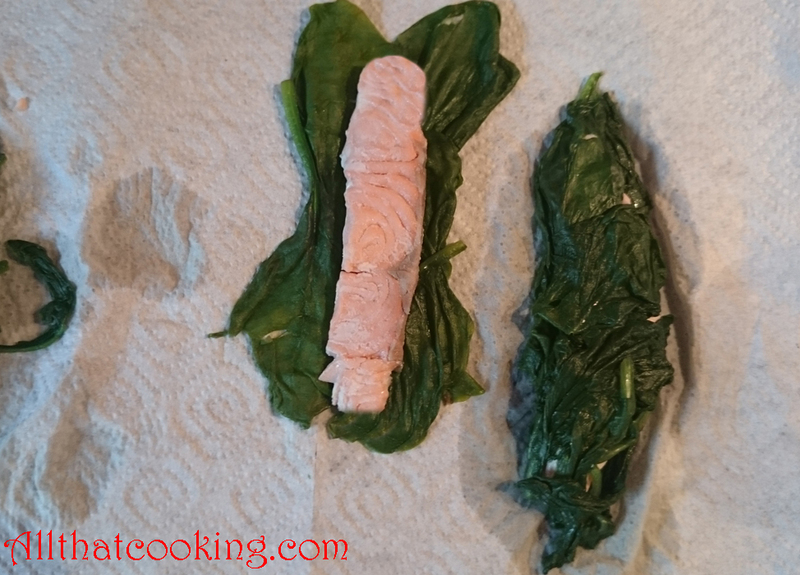 Use the leaves to wrap the steamed salmon pieces, making two rows that are as long as the loaf pan. Preheat the oven to 350F (180 Celsius). Position rack in the middle of the oven. 1. Tightly line a 9 x 5-inch loaf pan with aluminum foil. 2. Line the pan with pancakes so the brown side faces up. Start with one pancake on each end so that you cover only about 1-inch of the bottom and the pancakes hang over the sides and ends of the pan. 3. Cut remaining pancakes into rectangles by cutting about a 2-inch strip from the right and left side of each pancake. 4. Line the rest of the pan with the rectangles, slightly overlapping each one and draping the edges over the top of the pan. 5. Evenly spread about 1/4 of the pâté to cover the bottom of the lined pan. 6. 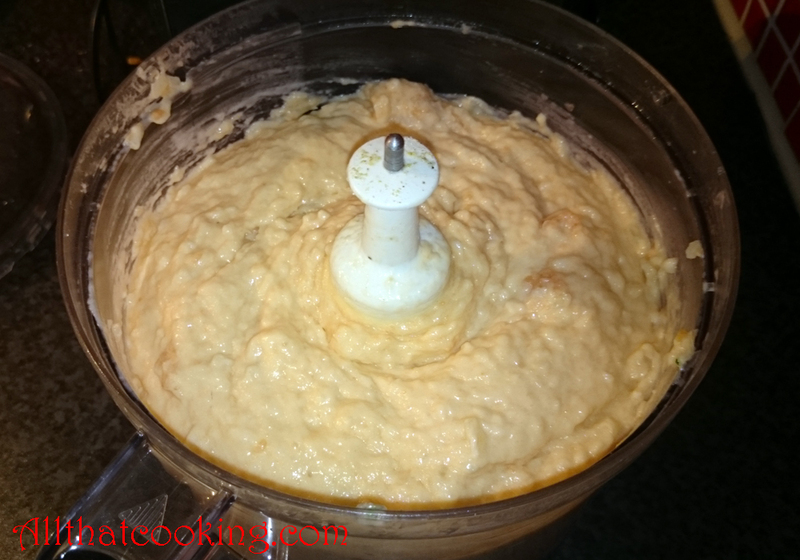 Mix shrimp with another 1/4 of the pate and spread to form the next layer. 7. Top this with another 1/4 of the pâté . Use the back of a spoon to evenly spread each layer. 8. 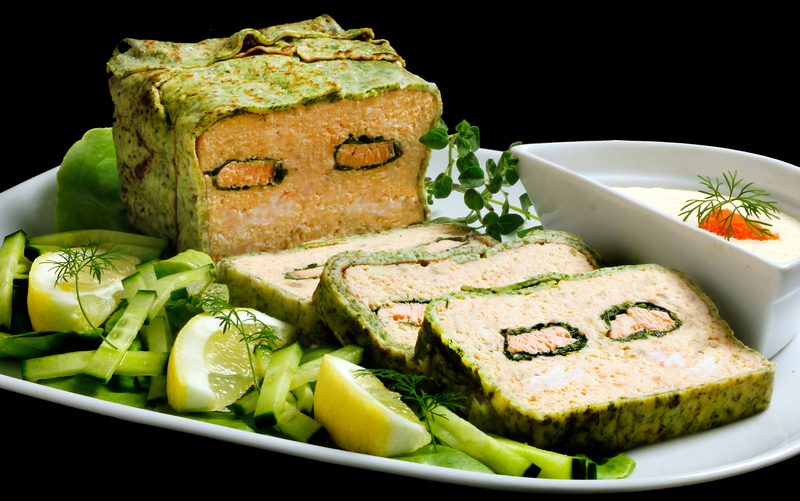 Place the 2 spinach wrapped salmon logs on top of this layer and spread the remaining pâté over top. 9. Bring the pancakes that are lying over the edge of the pan up and over the pâté . They should just overlap each other at the middle, so cut any pieces that overlap too much. Otherwise you will have a heavy layer of pancake on top of the loaf. Fold the ends up and over. 10. Tightly cover the top with aluminum foil and use kitchen string to secure it. You don’t want any water coming into the pan during the cooking process. 11. Place the loaf pan in a roaster pan or a deep oven proof dish. Pour about 2-3 cups of hot water into the roaster pan or dish. Remove from oven and cool to room temperature before refrigerating. Just before serving, carefully turn the loaf pan upside down to remove the pâté . 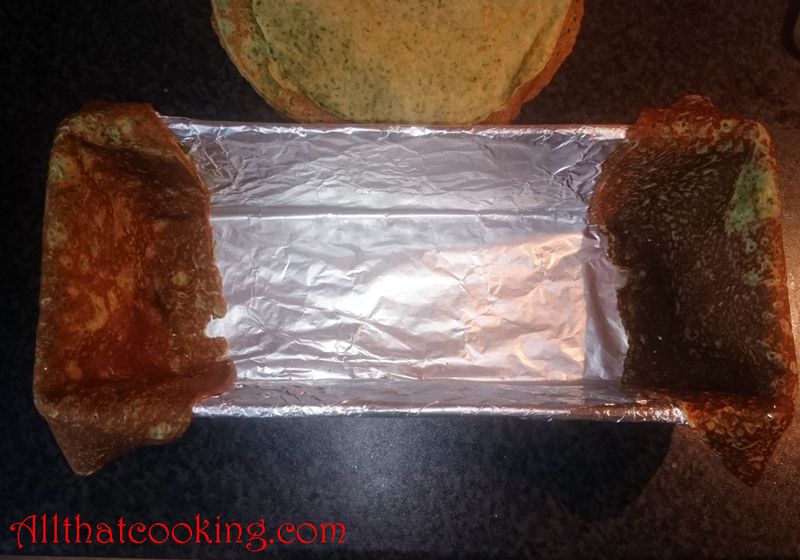 Use the foil lining the pan to help ease it out. Slice and serve with roe sauce. 1. Gently mix sour cream, mayo, white wine and roe in a small bowl. 2. Salt and pepper to taste. You can present this with more roe and some fresh dill sprigs. Gallery | This entry was posted in Main Dishes, Shellfish, Shrimp and tagged midsommar, midsommarafton, Salmon pâté, Seafood pâté, smörgåsbord, Spinach pancakes, Swedish Solstice Menu. Bookmark the permalink. A bit of work, but it looks definitely worth all of the efforts. Excellent! Agree! Oli loves to make pâté and for him a dish like this is a snap. Although not difficult, there are a lot of steps. I promise the next post will be quick and simple. Caviar sauce is a very creative recipe.well done please share your recipies with us. Rajiv Dissanayake, Culinary instructor,Sri Lanka. Glad you like it and thanks for stopping by. Always here to share. Wow! This looks fantastic! I love Salmon. Thank you Dagrun. It is great fun putting this together. It’s even better when you get to enjoy the final product! 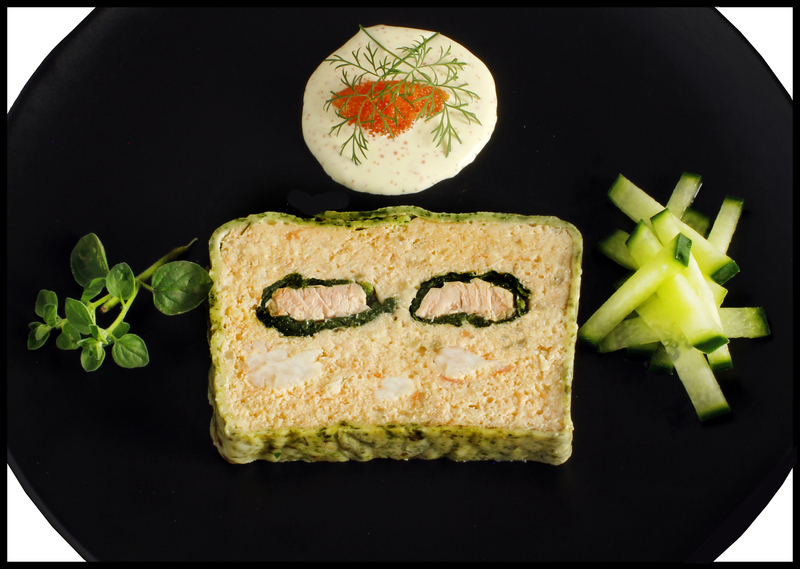 wow, such a work of art salmon pate!!! Ohh, I bet the salmon combination was delish. Now, please tell me about amaranth. I am familiar with amaranth as a grain. I assume that you used the leaves, which I have not seen in any of the ethnic markets around Virginia Beach. Taste and texture like spinach? Always like learning something new.